This fine collection of watercolours was inspired by a long-standing connection with the Thorburn Museum in Liskeard. 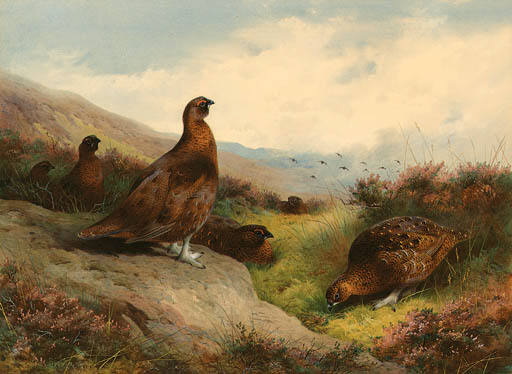 The close friendship of John Southern and frequent visits to the museum led to the initial acquisition of Autumn Glory in the mid seventies, the watercolour that heads this group. The collection has evolved over many years and the watercolours have all been chosen as outstanding examples for exhibition at the Thorburn Museum. A number have been illustrated in John Southern's books, Thorburn's Birds and Mammals, London, 1986, and Thorburn's Landscape: The Major Natural History Paintings, London, 1981.